George Herrer I am validating that this deal work as described. I have checked and work properly. 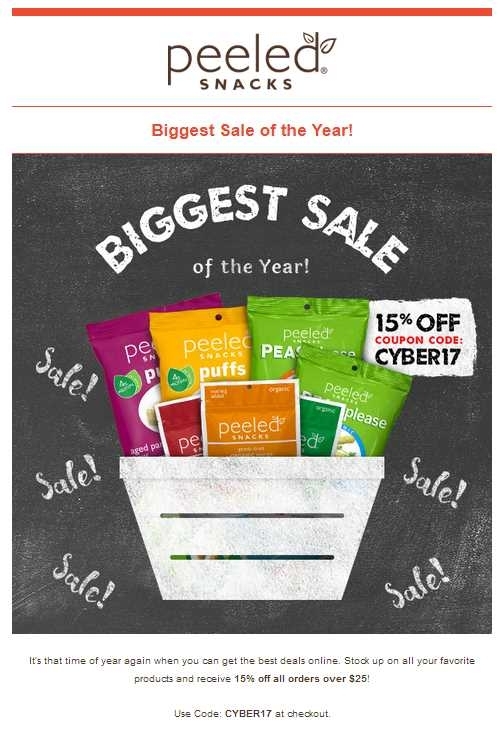 Just apply this promo code CYBER17 in box and enjoy this amazing deal. Kaye Baroody Deal works as described and shown in my screenshot. Place your order in the cart, and apply code at checkout. 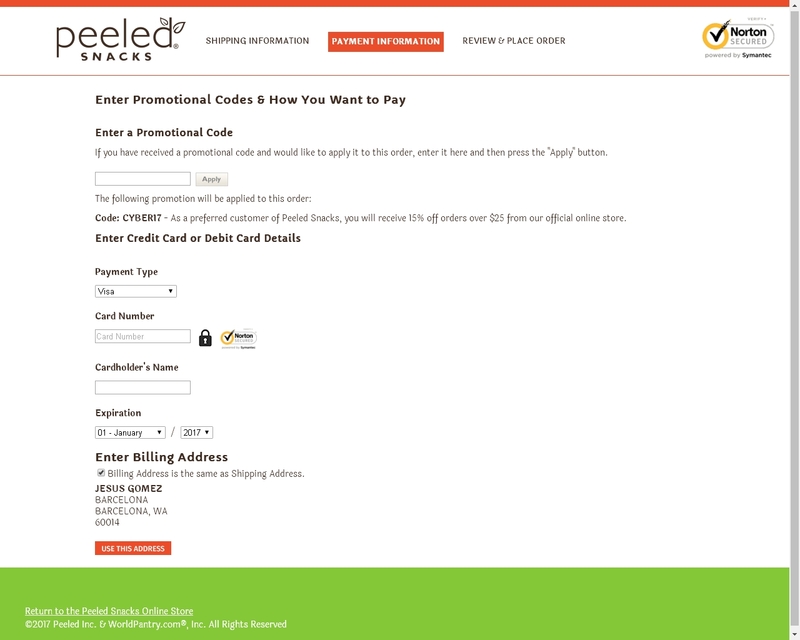 @saragh 15% Off All Orders Over $25 at Peeled Snacks. I am validating that this agreement works as described. Offer cannot be applied retroactively and expires 11/30/2017 11:59 pm PT. In stock items, only. Promo code CYBER17.